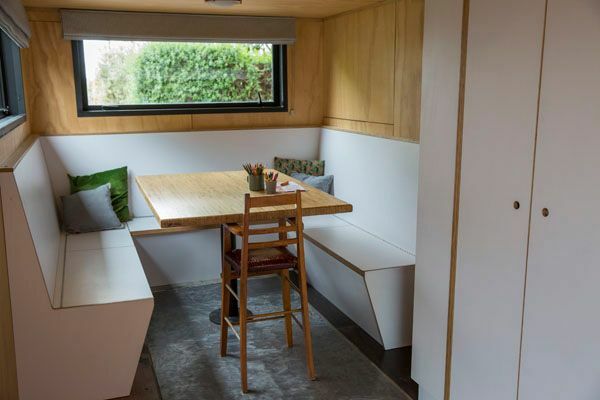 New Zealand's Otto Engineering is a general engineering practice that specializes in creating container homes for families looking to embrace a minimalist lifestyle. 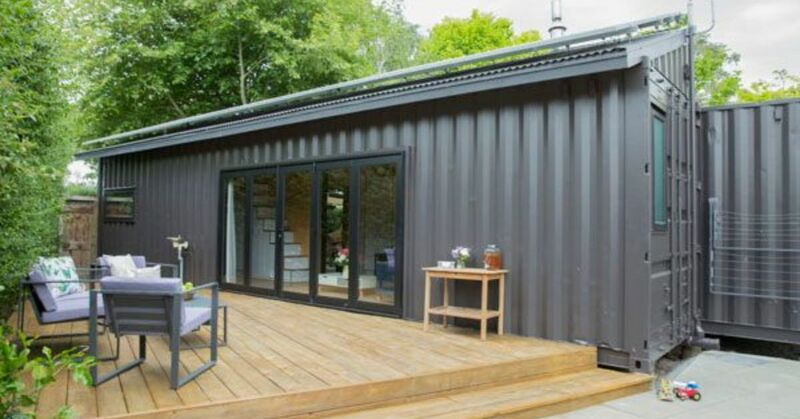 Otto can customize homes to basically any budget and requirement, but the shell is always built of repurposed shipping containers from around the globe. 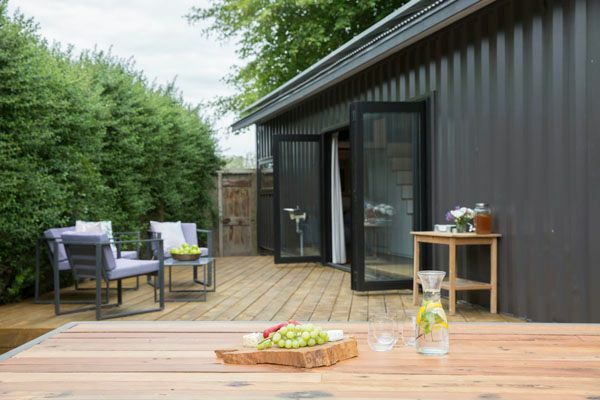 Homeowners seeking out Otto's services — and those curious to do it themselves — can draw inspiration from the company's show house, built from a dark gray container. While it appears small from the outside, the interior boasts ample living and sleeping space and modern amenities, all wrapped up in a chic minimal design. A large garage opening to the front reveals the spacious living area, grounded by a sisal carpet and featuring a plush sectional sofa. Behind the seating space is the kitchen, complete with a sink, oven and plenty of sleek white cabinetry. Large windows overlooking the wilderness beyond make doing dishes less of a chore. 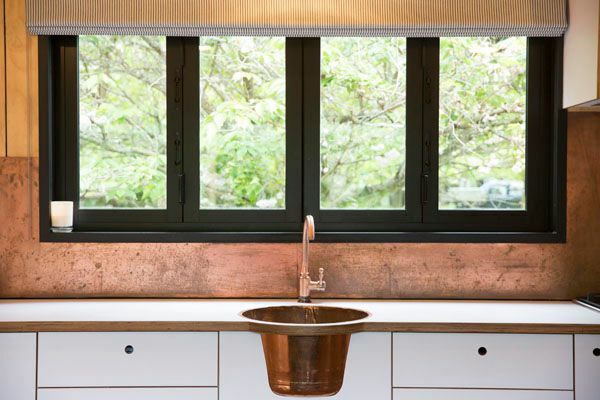 A stylish copper backsplash, basin sink and faucet contrast with black-trimmed windows. Beyond the living space, a built-in breakfast nook is surrounded by banquette benches. With an extra stool or high chair pulled up to the fourth side, this allows enough room to accommodate a large group. Again, a large window opens the space to light and views. Next to the eating area is more closet storage. Even more storage is discreetly tucked into the stairs, perfect for stashing children's toys or shoes. 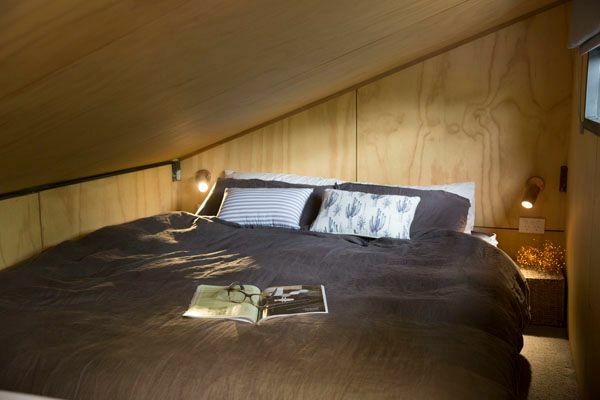 Upstairs, a loft sleeping space can accommodate a queen bed. A window allows residents to wake up to the sun, if they so choose. 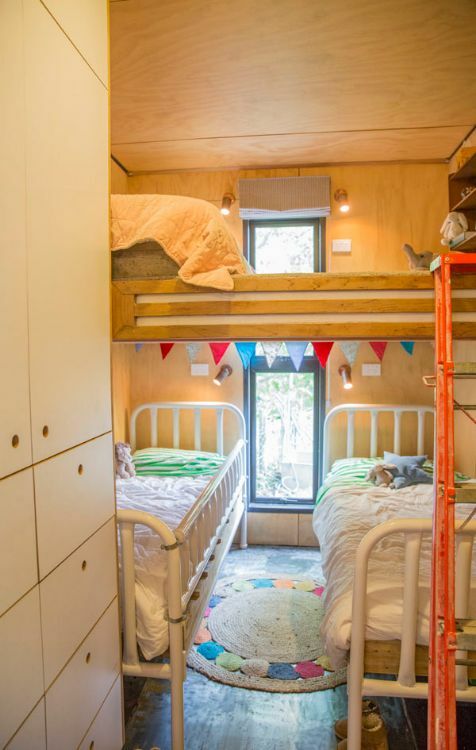 This cleverly designed children's room accommodates two beds and an extra loft bunk bed. Plenty of built-in storage stashes clothes and extra linens. Cheerful pops of color accent this gender-neutral space. 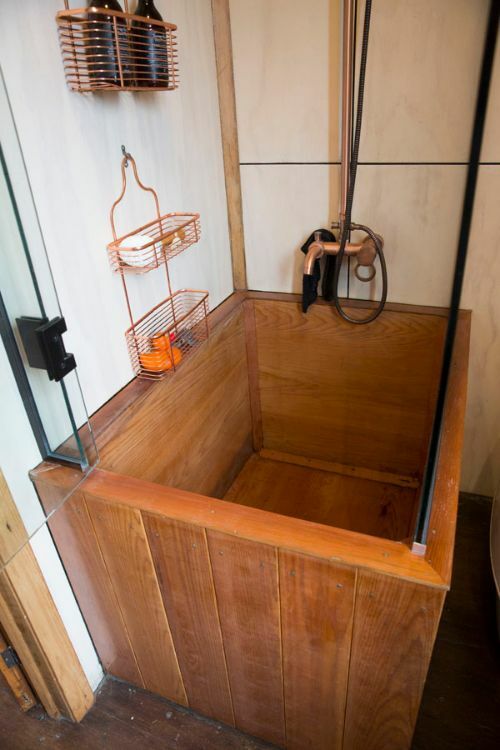 A large stand-in shower/tub in rich oak is fitted with copper fixtures that complement the bathroom design. 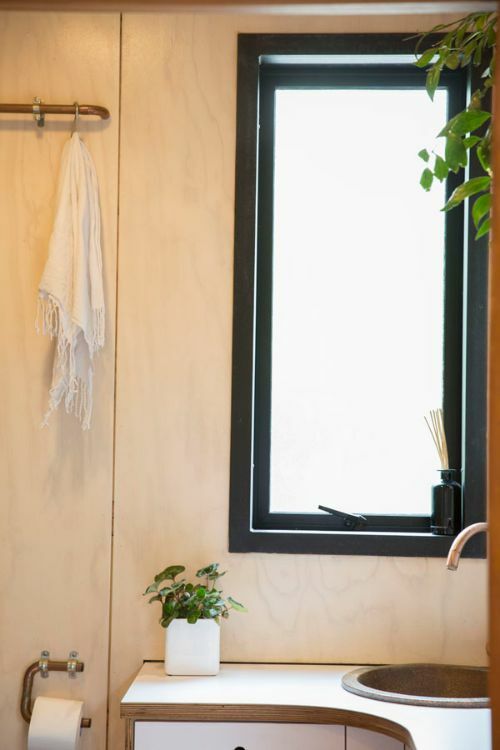 Across from the tub, a vanity features ample built-in storage. A bronze faucet arcs above a small basin sink. This design is complete with a spacious patio for enjoying the outdoors. A large picnic table is perfect for hosting summer dinner parties al fresco. 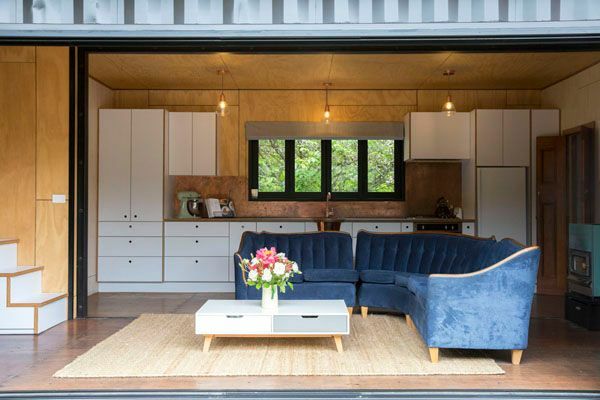 Located in a trendy, bustling downtown neighborhood, this 500-square-foot container home is a great place to stay if you're interested in checking out what downtown Fort Worth has to offer. Built to point towards the ocean, this open plan New Zealand vacation home is a dream come true. Alternative Living Spaces creates unique container homes that don't skimp on materials, craftsmanship and thoughtful design. This 45-foot container home in Park City, Utah, is no exception. A luxurious beach house in Santa Monica.